A historical milestone achieved on 23rd March 1940 in the freedom movement for the rights to self-determination and independent state of Pakistan. Pakistan day is a lot more than just a general holiday for people of Pakistan. According to National Human Development report published last year by UN development program, Pakistan has the largest percentage of young people currently constituting 64% of total population. We ought to create activities that help raise collective cognizance of younger generation about not only the struggles and sacrifices, but the importance of safeguarding Pakistan’s sovereignty. With politically aware and history reading young generation in place, Pakistan will celebrate hundreds and more Pakistan Days to come. A historical resolution, prepared by 25 member Special Working Community of Muslim League and presented by Maulvi A.K. Fazlul Haq, was formally adopted by All India Muslim League members on 23rd March 1940, at its three day annual session staring from 22nd to 24th of march 1940 held in Lahore at Minto Park. The resolution asking for Muslim autonomy, comprising of states with Muslim majority located in north-western and north-eastern region of British India, stated “No constitutional plan would be workable or acceptable to the Muslims unless geographical contiguous units are demarcated into regions which should be so constituted with such territorial readjustment as may be necessary. That the areas in which the Muslims are numerically in majority as in the North-Western and Eastern zones of India should be grouped to constitute independent in which the constituent units shall be autonomous and sovereign. Ironically, the word Pakistan was not mentioned yet decriers assumed it to be a call for separate Muslim state. Right after the Lahore resolution was passed, opponents started criticizing by calling it Pakistan Resolution. Rather than negating, Muslim leaders all over subcontinent endorsed the idea. In fact, All India Muslim League led by Muhammad Ali Jinnah became solely focused on the mission of achieving independent nation-state. Throughout the struggle leading up to 1947, the great Muhammad Ali Jinnah issued statements and messages to the 30 million Muslims in British India on every 23rd march declaring it Pakistan Resolution Day. For people of Pakistan Minar-e-Pakistan, a singular minaret, standing tall in Iqbal Park Lahore (often identified as; Yadgaar-e-Pakistan) is a very significant national monument because it was built in commemoration of the Lahore Resolution that was held in Minto Park, now known as Iqbal Park. 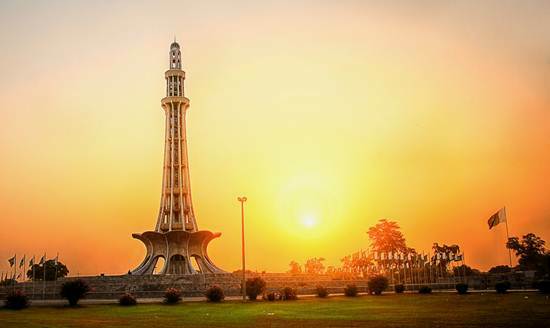 On the March 23rd, we (people of Pakistan) reflect upon the gift that is Pakistan, especially since the condition of Muslims and other minorities consistently worsening in India, and celebrate Pakistan Day with full zeal and fervor to commemorate the remarkable achievement of Lahore resolution passed by Muslim League on this day in 1940. 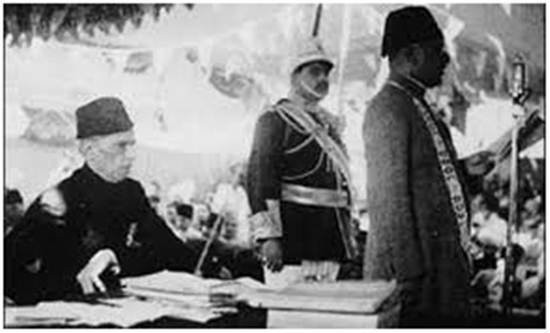 Celebrations begin by hoisting Pakistan’s Flag on governmental buildings at dawn, gun salutes in the capital and provincial capital cities, followed by change of guard at the mausoleums of Muhammad Ali Jinnah (widely addressed as, Quaid e Azam) and Sir Muhammad Iqbal (also known as, Allama Iqbal). President of Pakistan hosts presidential award ceremony to recognize civil and military contributions to the country. 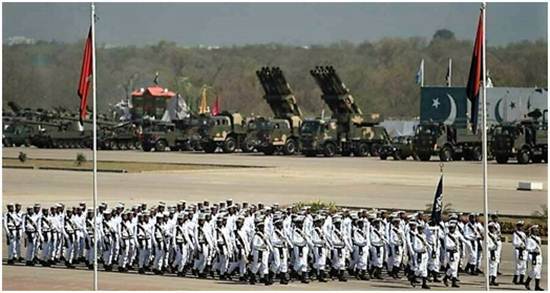 The main and most awaited feature of Pakistan day celebrations is military parade and procession (resumed in 2015) at constitutional avenue of the federal capital to demonstrate strength and honor the day, which is broadcast on live TV for the nation to cheer on.